Commercial Pressure Washing: Dirt happens. Properties need regular cleaning just like anything else but they also need proper maintenance. In order to protect concrete parking lot areas regular pressure washing is required. Do not pay for hourly assistance with traditional tools. Turn to commercial pressure washing for a quick and painless solution to all cleaning needs. Keep customers impressed by not only keeping the parking lot clean but also the outsides of buildings as well. Dirt and grim can affect structures just as much as it can affect parking lots. Businesses that are filthy repel customers. Don't let property get run down when it can easily be maintained within a healthy budget. Residential Pressure Washing: Gutters can become horribly clogged. This can lead to all sorts of water damage as rainwater backs up. It is even worse if gutters are not even installed or have broken off. Rainwater can erode the roof of any structure. Keep them clean regularly to avoid potential damages. Residential pressure washing eliminates the need for climbing up and down ladders regularly. This saves both time and money. Service is prompt and affordable so it will never break the budget. Be sure to schedule regular maintenance on siding as well. Power washing is safe for all types of siding: vinyl, aluminum, brick, wood, and even stucco. Mold, mildew, and dirt can devalue a property as well as irritate allergies in allergy sensitive individuals. Cleaning the outside of the building with residential pressure washing regularly is a great way to not only make businesses and homes stand out, but also protect from all of the allergens that can grow along the outside that often cause people to become sick. Roof Pressure Washing: Protect rooftops from black streaks and green moss to avoid damage. These can often form in areas that are much too steep to be reached with a ladder. Leave it to a professional team of roof pressure washing experts to protect from the formation of green moss and mold. When Algae grows on rooftops it eats the roof filler in the shingles. Algae also absorbs moisture and keeps shingles from drying, promoting moisture damage. This can lead to serious structural damage if the moisture makes it way underneath the shingles. Power washing homes and buildings is not only fast and affordable but also healthy too because it flushes away bacteria, allergens, and other irritants that can make people sick if left unchecked. Since businesses need to be as clean and as presentable to the outside world as possible, be sure to schedule repeat appointments for regular pressure washing maintenance in the future. We are the top pressure washing service in Elkhart, IN and we believe in order to attract repeat business a company needs to have a clean and healthy environment in which to promote products and/or services. Power washing is an excellent way to do this. 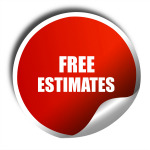 Call us today to schedule an appointment or to get a free estimate. Our friendly customer service team would be happy to answer any questions or concerns. Are you looking for a company to help you in cleaning you home or office, well Elkhart pressure washing is the best company to look for. We are a professional, established company that offers all services related to pressure cleaning. Our goal is to satisfy our customers' needs, and therefore we provide the best cleaning services which guarantee our clients satisfaction. Apart from offering the best washing services, we also charge our clients pocket-friendly prices as we value our customers’ money hence making us of the best pressure washing company. Our company has a team of employees who are well experienced in pressure cleaning methods, and we guarantee you the best cleaning results. Our team ensures that they handle all the delicate items such as the lights and glass window panels with a lot of care when cleaning. We also use environmentally friendly products when cleaning so as to ensure the safety of human beings and also prevent damage to your items by the harsh chemicals.We offer a free consultation to our customers, and during the meeting, our clients also receive a quote.What services do we provide? Commercial pressure washing includes a thorough cleaning of the homes or offices driveways, and we also clean all the industrial equipment and awnings. We are not limited as we can also clean most hard services and help you return your items back to their original look. Our residential services include the cleaning of home sliding andWe also clean the windows and gutters. If you wish to scrub off unwanted things from the wall such as the paint or cobwebs our team will deliver excellent services in cleaning up. Do you remove stuck dirt from your roof or snow? Well, Elkhart cleaning company will help you clean up the roof. As I said earlier, we are not a limited company as we offer extensive pressure cleaning services. Therefore if you want to retain your roof tiles to their original look, contact us today. What makes us stand out from other pressure cleaning companies? Our company values the customers’ money, and therefore we ensure that we charge a pocket-friendly price for our services. We use cleaning products which are eco-friendly whereby we ensure that the product does not harm the customers’ health or damage their items. Apart from using the best cleaning products, we have also invested in the best cleaning machines so as to ensure that we leave your home and office looking sparkling clean.